It isn’t enough to just get the workouts in. In fact, what you eat makes a major difference in your fitness journey. In a perfect world, we would be able to eat whatever we wanted without having to worry about managing our weight or our health but unfortunately, it is not like that. Without the proper nutrition, you will be undermining your training efforts to get fit and healthy. So make sure that you pay extra attention to your diet. As you know how the saying goes—”you are what you eat.” In this post, we will cover easy dieting tips that will help cover the nutrition side of things. Before we get into our easy dieting tips, we have to focus on calories and how they work. People tend to overcomplicate their diet when it comes to weight management but it is actually very simple. So how do we work out how many calories we need? This comes down to your Total Daily Energy Expenditure or TDEE. This refers to the total number of calories your body burns to function and complete everyday activities. This includes sleeping, eating, moving around and any other exercise or activities you do. Everyone’s TDEE is different. How does your TDEE differ from BMR? People tend to mix TDEE and BMR up. BMR or Basal Metabolic Rate is the number of calories your body needs just to stay alive, such as breathing. It doesn’t include any other activities that TDEE accounts for. When counting your calories, you should focus on your TDEE. There are many online calculators that you can use to help calculate your TDEE. While they may not be 100% accurate, it’ll give you a good starting point for these easy dieting tips. Now I have my TDEE. What now? Want to lose weight? Then you need to be in a calorie deficit, that is, eating fewer calories than your TDEE. If you want to gain weight, you need to be in a calorie surplus, that is, eating more calories than what your body needs. To maintain your current weight, you need to eat the same number of calories that your body uses to function on a day-to-day basis. It is important to remain reasonable when determining your calories. For example, eating substantially fewer calories than your TDEE may allow you to lose weight faster. However, it may mean that you will be losing a lot of muscle as well, and not just fat. Likewise, if you dramatically increase your calories to be in a heavy surplus, you will be adding much more fat than muscle. On average, people tend to be in a calorie deficit or surplus of around 500 calories. This way, they can try to maintain or gain as much muscle as possible, regardless of your goal. While losing, gaining, or maintaining weight is really that simple, your priority should still be on being healthy. So technically, yes, you can eat chips all day and as long as you are eating in a calories deficit, you will lose weight. However, that doesn’t mean that you are healthy. 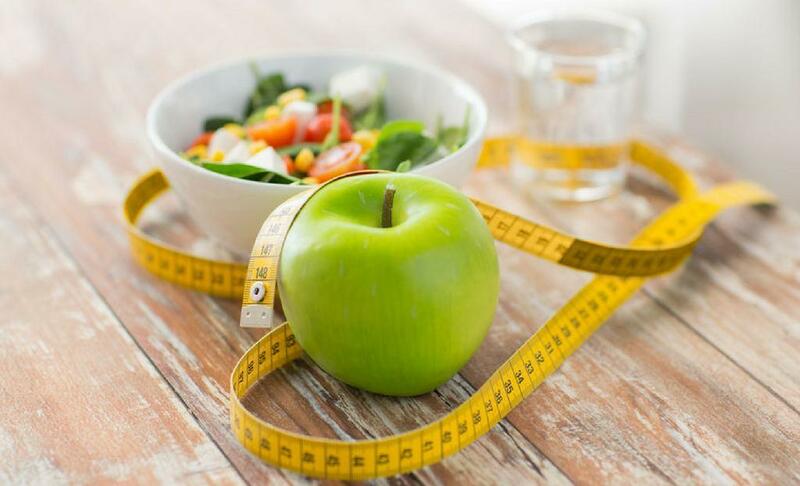 Here are some easy dieting tips to implement in your life. There are three main macronutrients—protein, fat, and carbohydrates. Each plays a vital role in your diet. Protein: When you train, your muscles break down and they use protein to rebuild themselves. This is why protein is so critical. Carbohydrates: Your body runs on glucose (carbohydrates converted to sugar) in the body. It helps give your body enough energy to function normally. There are different type carbs: complex carbs and simple carbs. Complex carbs, such as beans, whole grain food, starchy vegetables, keep you fuller for longer. Compared to this, keep simple carbs at a minimum, including chocolate bars, candy, cereal, refined white bread, and pasta. Fat: Fat helps to absorb nutrients from the food you eat, provides energy, and protects your organs. While fat is no longer vilified in the health industry as it once was, there are still good kinds of fat and bad fat. Healthy fats are avocado, olive oil, nuts, and seeds. Bad fats are saturated and trans fat. These include ready-made meals and chips. When you eat your meals, try to eat a balanced meal with all three macronutrients. Focus on lean protein, complex carbs, and healthy fats. It should come to no surprise that the majority of your foods should be whole foods. We’re talking fruit and vegetables. Fruits and vegetables come jam-packed with all the nutrients and minerals that you need. To make sure you’re getting all this nutrition, make your plate as colorful as possible. Don’t underestimate how much of a positive change water can bring to our health. Our body loses a lot of water every day, and so it is important that we are constantly replenishing our bodies. While drinking 8 glasses of water is the common guideline that people stipulate, there are other ways to make sure that you are staying hydrated. Look at the color of your urine. If it is clear or near clear, then your hydration levels are great. If it is more on the yellow side, then drink up! One way of drinking more water is to choose water instead of a soft drink or juice. If you want something a little different, then add some fruit to your water for a different taste. Common ones include lemon and mint, cucumber, orange, and even blueberries. Experiment and try out different flavors! Try to stay away from processed foods for the majority of your diet. However, this doesn’t mean you should completely shun things like simple carbs and bad fats. While it is best to keep them at a minimum, completely eliminating them from your diet can lead to intense cravings and binge eating. Keep to the 80/20 rule where 80% of your diet is healthier foods and the remaining 20% are little treats for yourself. 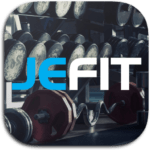 Jefit is a workout app that comes equipped with a customizable workout planner, scheduler, as well as a community filled with like-minded people. With a members-only Facebook page, you can be sure to find easy dieting tips, advice, motivational stories about changing your diet, training, and general health and fitness tips. I totally believe in treating yourself in regular internals while on a diet. It keeps you motivated and sane. Of course diets that’s not the only way to be healthy, as mostly they are very strict and don’t improve both inner organs and body. As for me, I use the diet sportsmen use: . The benefit of it is that such nutrition gives me energy and I don’t feel hunger. I also agree that we mustn’t forget about the drinking, as the lack of water may only hurt. So everything must be considered together to get good results. Timely article. While my diet is not too bad, I do have to make a few tweaks to keep cholesterol under control.